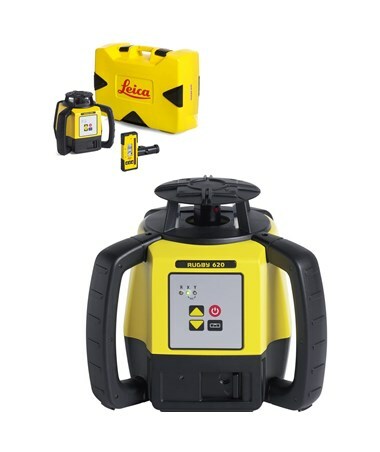 The Leica Rugby 620 Rotary Laser Level has all the great features of the Rugby 610 plus the addition of a manual slope option, an increased accuracy of ±1/16-inch at 100 feet, and improved range of up to 2,600 feet. It is also easy to use with its one-button self-leveling operation, grade entry arrows, and LED indicators for all general construction applications. 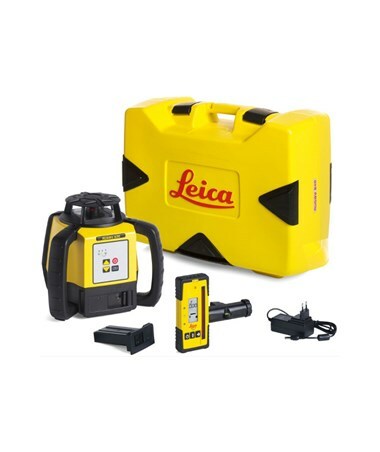 Self-leveling within ±5 degrees, the Leica Rugby 620 can perform all horizontal leveling tasks indoors or outdoors and is great for concrete and formwork. 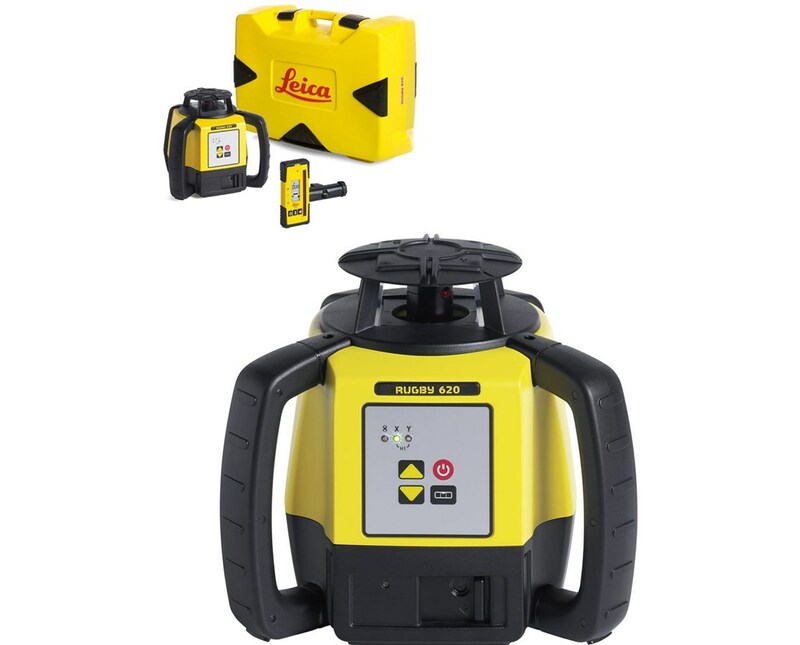 Construction professionals can also choose to turn off the laser's self-leveling function for single-axis manual grading. It comes with an easy-to-grip over-mold protection handles and clear LED indicators. 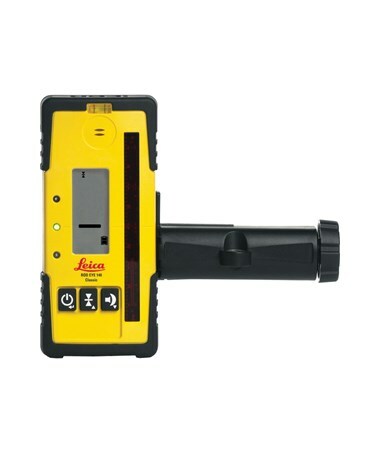 Plus, the Rugby 620 uses a Class 2, 635-nanometer red laser. 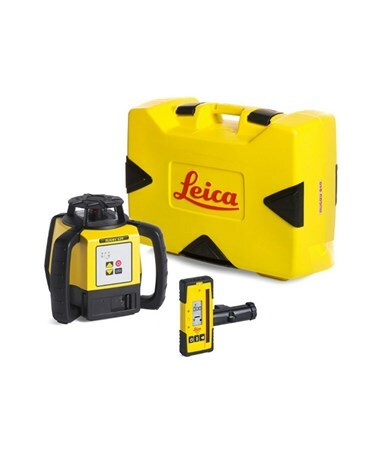 With an IP67 environmental rating, this Leica rotating laser is dustproof and water resistant. With the included alkaline battery pack, the laser level can last up to 60 hours and 40 hours with the Li-ion rechargeable battery. 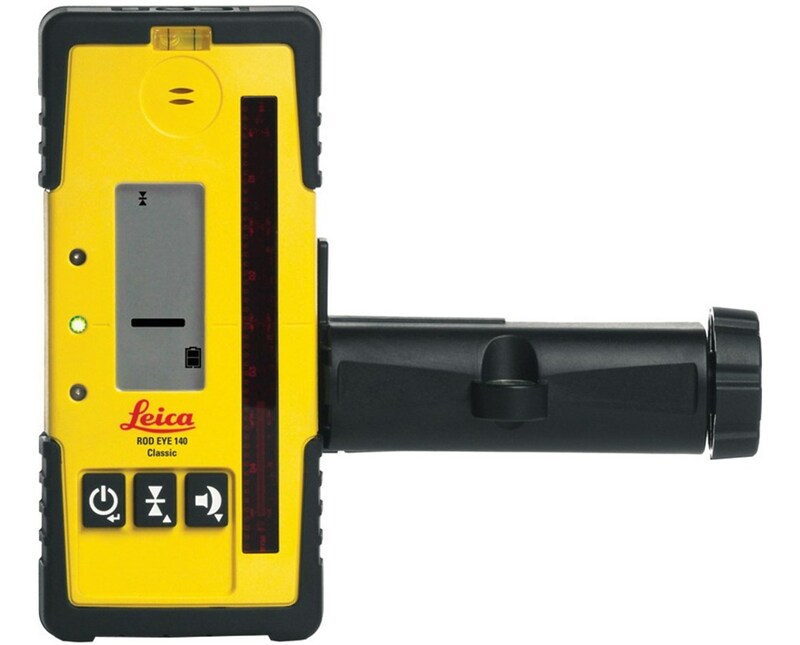 In addition, the Leica Rugby 620 rotary laser level comes with a 5/8-11 thread for easy tripod attachment. 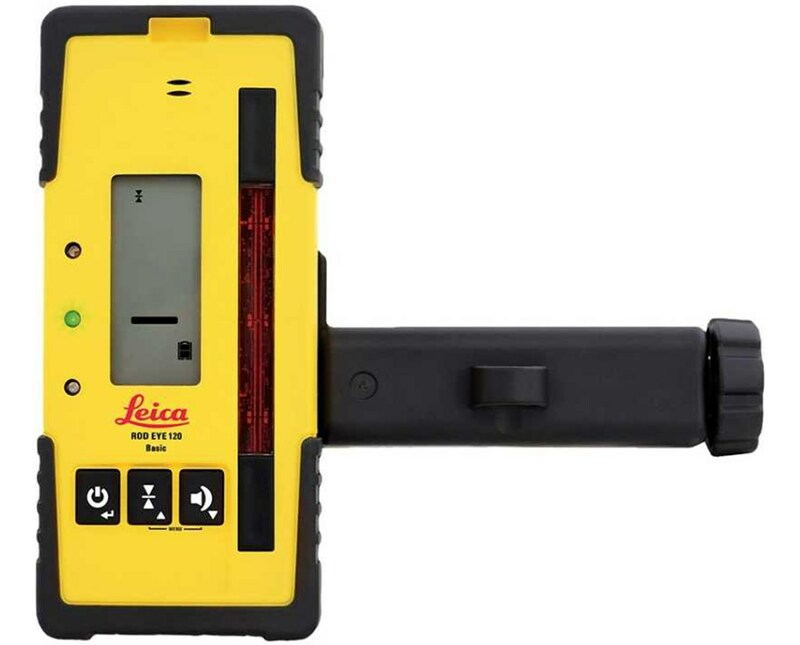 The Leica Rugby 620 Rotary Laser Level comes with three receiver options and battery selection. Choose your preference in the drop-down sections above.